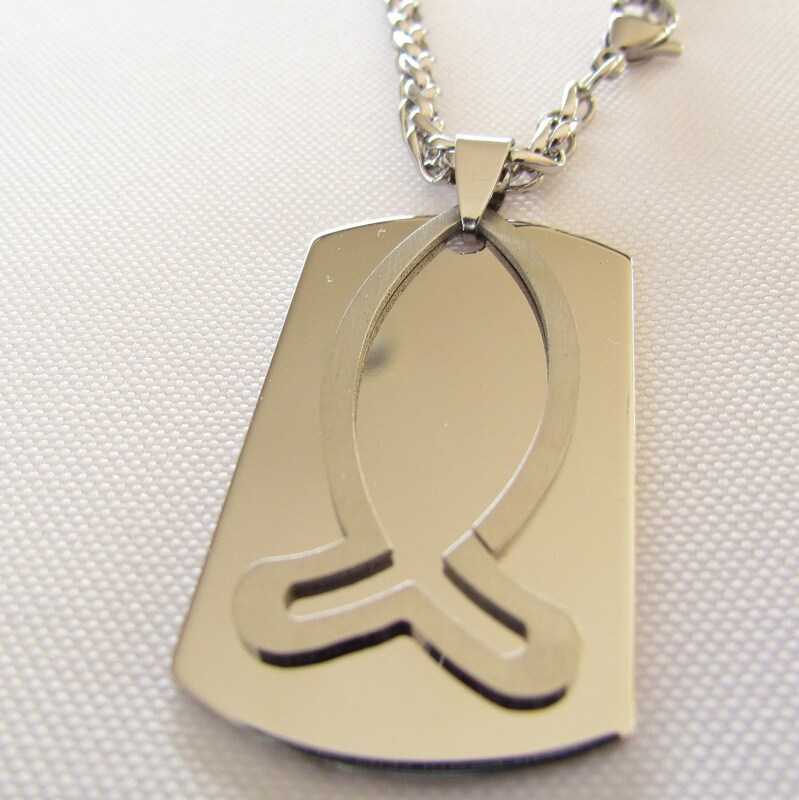 Silver High Gloss Hand Polished Stainless Steel Dog Tag and Bench Drawn Ichthus ΙΧΘΥΣ Greek Fish Jesus Outline Medallion and Heavy Braided Chain Necklace. 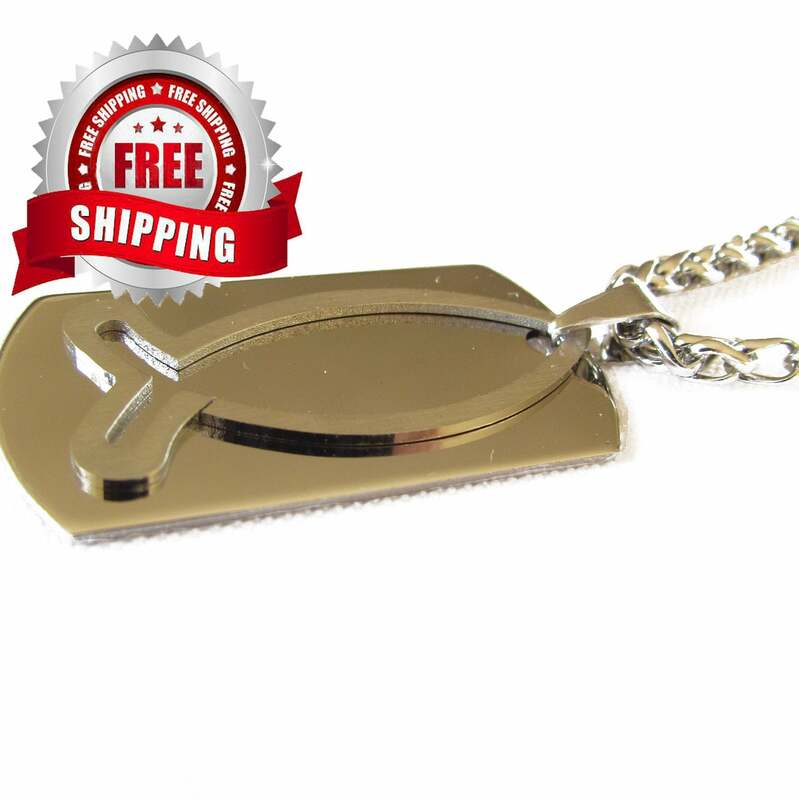 Dog Tag Measures 1 5/8" long x 1" wide. 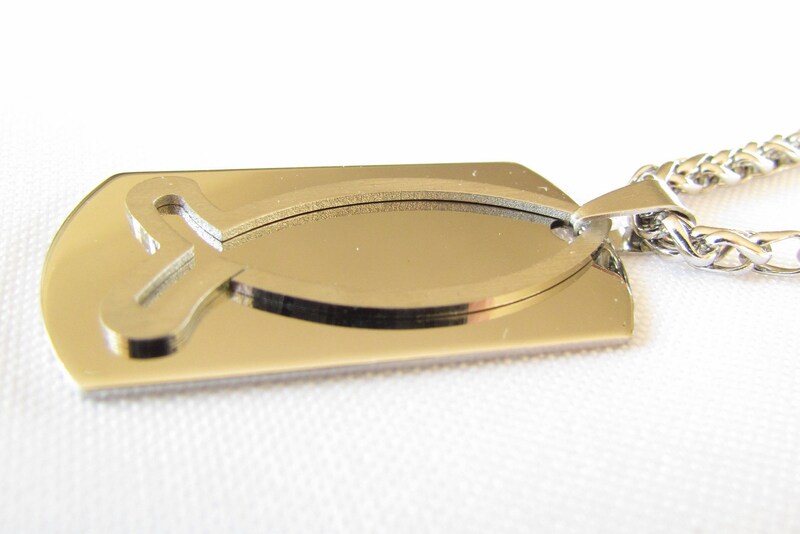 Each pendant is All Stainless Steel that is Bright Silver in Color with contrasting Bench Drawn Fish that will not dull or tarnish. 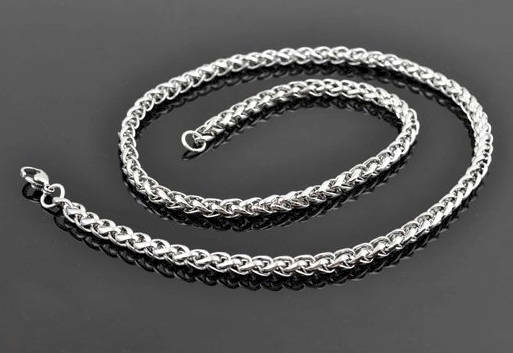 Chain: Our exclusive Heavy 4.4mm x 20" Stainless Steel chain. 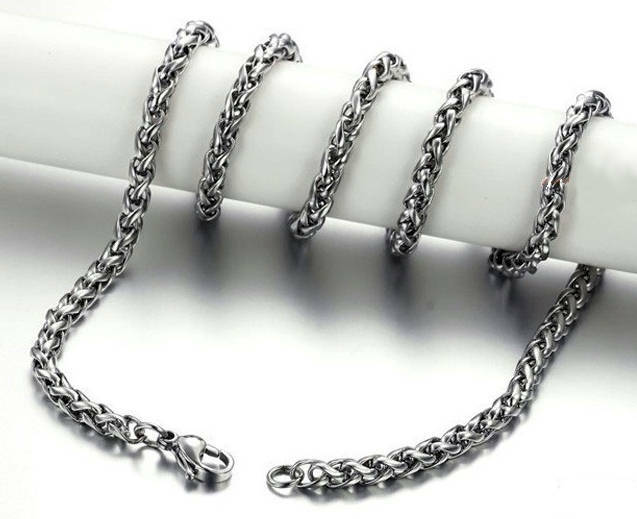 This very high quality Heavy Chain comes with at positive locking Lobster Claw clasp (sold separately this fabulous chain alone is an $18.00 value). In the early years Christians met in their homes and the Greek Ichthus Fish symbol was used to symbolize the Christian Fellowship. A Saint Michaels Jewelry Exclusive offer.